Roland G. Simbulan is an author, educator and scholar known for his active advocacy against nuclear power, nuclear weapons and U.S. military bases in the Philippines. He holds the Centennial Professorial Chair in Development Studies and Public Management at the University of the Philippines, Manila where he has been teaching since 1981. He is a former Faculty Regent of the U.P. Board of Regents, and former Vice Chancellor for Planning and Development at U.P. He is the author of The Bases of our Insecurity, A Guide to Nuclear Philippines, The Continuing Struggle for an Independent Philippine Foreign Policy, The Covert History of CIA Operations in the Philippines, and Forging a Nationalist Foreign Policy, among other works. He is author of at least 27 scholarly articles published in national and international publications on U.S. foreign and military policy in the Philippines, U.S.-Philippines security relations, Philippine foreign policy, and U.S. policy in Asia. His works have influenced the thinking of many government officials, policy makers, students, scholars and peace activists. 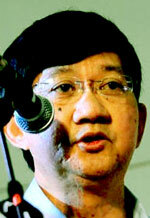 He was a senior consultant at the Philippine Senate from 1987 to 1995. Detained and tortured during the Marcos dictatorship when he was still a university student for his peace work advocacy, Simbulan has consistently pushed for self-determination of his country amidst the continuing neocolonial hegemony of the United States in his country's economy, politics and security policies. A long-time peace advocate in his country's anti-nuclear and anti-U.S. bases movements, Simbulan is the National Chairperson of the Nuclear Free-Philippines Coalition (NFPC) which led the nationwide campaign to incorporate a nuclear-weapons prohibition in the Philippine constitution and to remove U.S. bases in the Philippines. The NFPC also succeeded in stopping the operation of the Bataan Nuclear Power Plant which was a major project of the Marcos dictatorship. He is editor-in-chief of yonip.com, a Philippine peace and solidarity website since October 2000. Professor Simbulan is former Chair of the Department of Social Sciences and a Fellow of the Third World Studies Center at the University of the Philippines; and a Senior Fellow and Board member of the Center for People Empowerment in Governance (CenPEG). At the CenPEG, he has been involved in research on Philippine political dynasties, political clans and oligarchic politics. 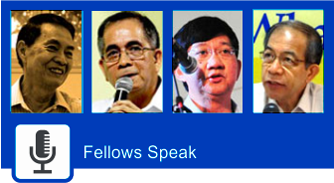 He also chaired the Board of Directors of Ibon Foundation, a research institute in the Philippines, from 1988 to 2000. Professor Simbulan has been regularly invited as an expert resource person before the Philippine Congress for his views on defense and security issues, treaties and international agreements of the Philippines. He helped design strategies and tactics for the historic Senate rejection of the bases treaty in 1991 as well as the post-bases alternative development and bases conversion program of the Philippine government. Simbulan continues his peace work and advocacy today by sharing to other peoples and nations, the Philippine experience in their successful struggle of the Filipino people against nuclear power, nuclear weapons and U.S. military bases. His recent book in English on the Filipino people's successful struggle against U.S. bases and the bases conversion program of the Philippines, has just recently been translated into Nippongo and published in Japan. He has lectured widely not only in the Philippines, but also in Australia, New Zealand, Europe, the United States, Canada, Africa, Southeast Asia, Japan, Korea and Hong Kong.